When you create an invoice for a customer, you may need to add sales, use, or other types of taxes to the total. ZipBooks helps you keep track of the taxes you collect so that you don't forget to pay them. 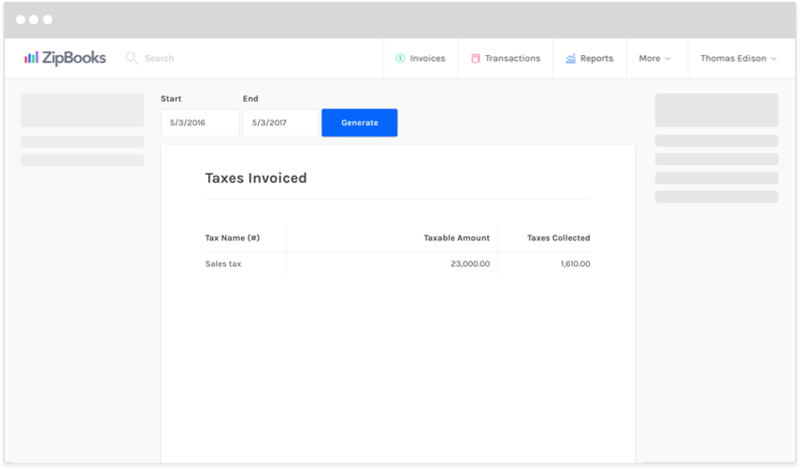 Create unlimited tax types, view a report showing the taxes you've invoiced for, and filter by time period so that your tax payments are accurate and on time.